This is a white cake iced with buttercream icing. 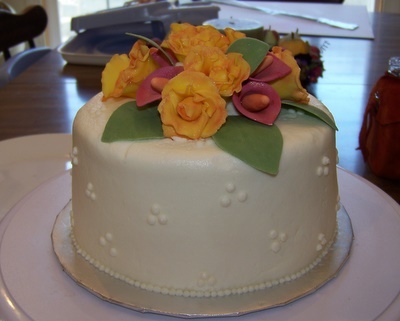 All the flowers are made out of fondant. This cake has a swiss dot styling on the sides. Size is 6″.